Every year on March 8th we celebrate world-wide the contribution made by working women and famous female pioneers to the struggle for a new society. The date was established at an international meeting of socialists nearly a hundred years ago. On this day in Russia in 1917 (February 25th according to the old calendar) women workers in Petrograd sparked the first revolution of that momentous year which overthrew the autocratic regime of the Tsar. 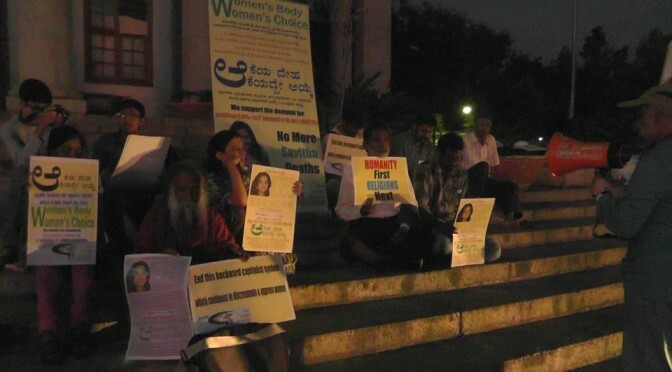 The following article is an edited version and the original article can be read from Tamil Solidarity website. 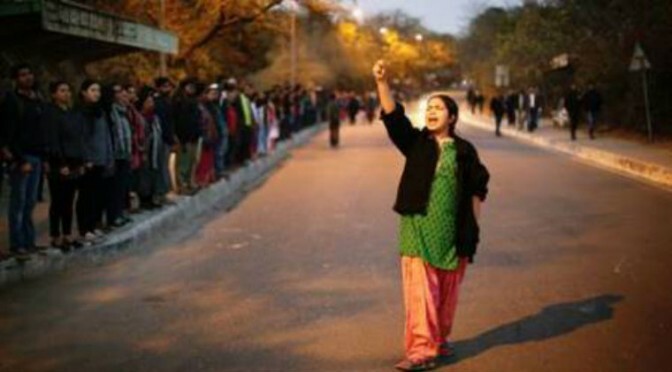 On 8th of March, as the world observed International Women’s Day celebrating women’s achievement in many spheres, it brings the spotlight on the struggle of women in general. Today women across the globe are being overworked more than ever before from cooking, rearing children, doing household chores as well as working paid jobs. There are more women in the labour force than ever before in the US, out-pacing men. But it says very little about equality and is not indicative of the rearrangement of power. In the recession of 2009, there was a disproportionate loss of jobs amongst women compared to their male counterparts, in particular affecting female headed households. 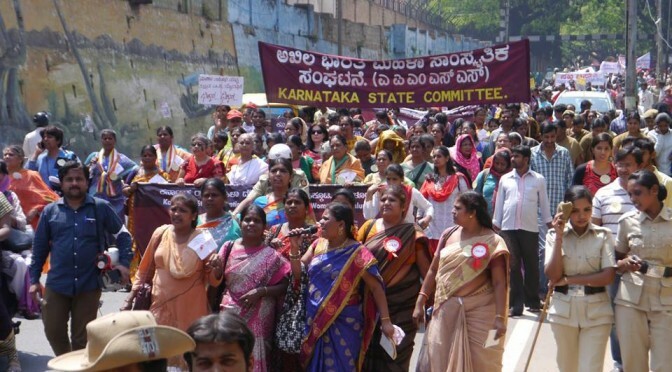 On the occasion of International Women’s Day 2015, New Socialist Alternative in Bangalore participated in protest rally organized by several women’s group in Bangalore in which over 2000 people participated. 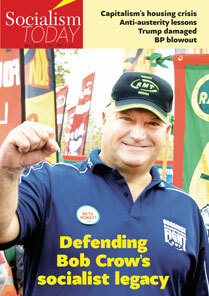 We also distributed over 1000 leaflets in the rally. In Pune, our comrades had organized a small meeting on the occasion. We had Prof. Swati Rajan as the main speaker. About 30 people attended the meeting. I still remember my friend telling me during the recent parliament elections that he strongly doesn’t want a fundamentalist type of government coming to power. The reason he told me was “I don’t want any Sanghi creating a scene while I’m walking around with my girlfriend.” He may not have been very far off the mark.